New research conducted on the meteorites that fell Sudan's Nubian Desert gives a glimpse of the volatile nature that prevailed in our solar system before planets like the Earth and Mars were formed. Diamonds are not only beautiful but are incredible vessels. 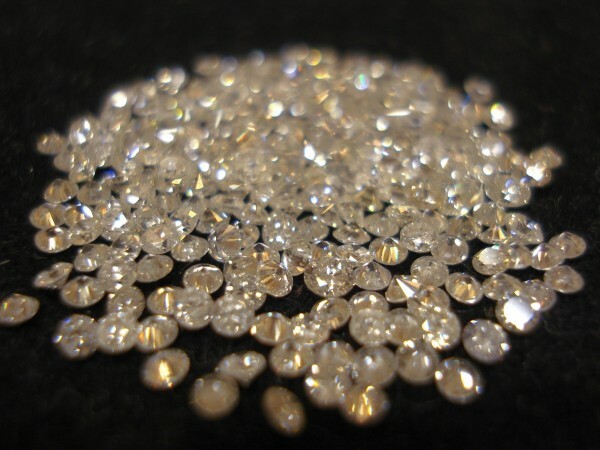 The fact that diamonds are super strong, it enables them to trap substance insides them. We have come across diamonds containing rare ice, ancient seawater and a rare mineral called calcium silicate perovskite. Now, scientists have come across diamonds encrusted in an asteroid that fell on earth in 2008 in Sadan, and have minerals in them from a lost planet of our solar system. Also, this is the first such relic to be found. New research conducted on the meteorites recovered from Sudan's Nubian Desert give a glimpse of the volatile nature that prevailed in our solar system before planets like the Earth and Mars were formed. According to reports, the meteors that were recovered are made of high concentrations of carbon, graphite, and diamonds in between grains of silicate. The diamonds are small and irregular and are time capsules with lots of information about their origins preserved within. According to CNN, experts who used transmission electron microscopy to study the diamond believe that they can be formed in multiple ways, including high-energy impact, chemical-induced growth, and static high pressure. "When diamonds form in high pressures inside a planet, they trap some of the minerals from their environment inside them. These are what we call inclusions. And since diamonds are the hardest natural material, they act as an excellent packaging for these mineral (sic) Thus, the shape and composition of these inclusions are preserved inside the diamonds. That is why inclusions in terrestrial diamonds has (sic) been so important for researchers. And now we have them from interiors of another planet!" said lead study author Farhang Nabiei, a doctoral assistant at the Earth and Planetary Science Laboratory in Lausanne, Switzerland, according to CNN. The diamonds were created under tremendous high pressure. The large diamonds had to come from much larger, like a Mercury or Mars-size proto-planet, with a diameter of something between 2,485 and 3,728 miles. Scientists believe that the planet existed during the solar system's first 10 million years and was perhaps destroyed in a collision. Nabiei also says that this discovery completely alters the existing idea about ureilites or rare type of stony meteorite with unique mineralogical composition. It was earlier believed that they came from something much smaller, but that does not seem to be the case. The scientists are now planning to study other ureilite samples and see how they fit into the larger picture. Breathtaking places that you can travel to in January 2019! You will be surprised to know what the full names of these cricketers are!